Coastal Engineering is the field of understanding the complex processes happening along our shorelines. The two biggest roles of coastal engineering are to combat erosion and to provide safe and reliable navigation. Therefore, Coastal Engineering divides into two domains: Coasts and Ports. Coastal Engineering plays a vital role in each of these realms. The general public has the most familiarity with the kingdom of the coast. The coast, which includes coastlines, bluffs, headlands, and beaches, is the more publicly accessible domain. Maybe you’ve heard about beach erosion during storms and hurricanes? Perhaps you’ve watched a dredge pump sand to the shoreline while bulldozers construct an artificial beach? In the kingdom of the coasts, coastal engineering carries out many necessary activities to prevent erosion, and maintain beaches for everyone’s enjoyment. 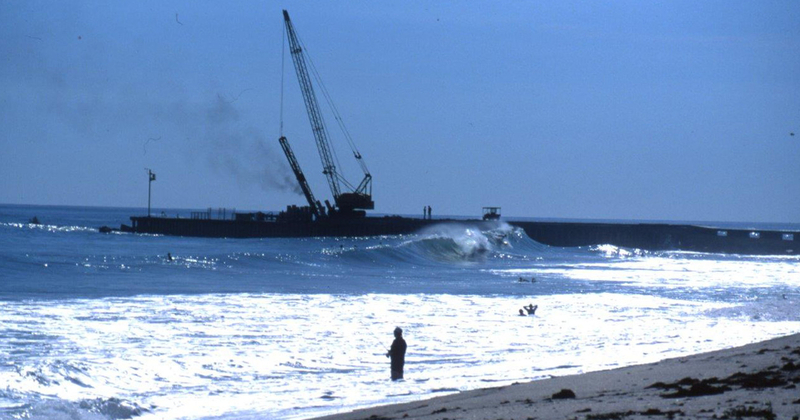 Once upon a time, artificial surfing reefs were proposed to help combat erosion. The concept is interesting. The idea was to build a reef that manipulates waves. The wave generated currents could help transport sand in a popular fashion. 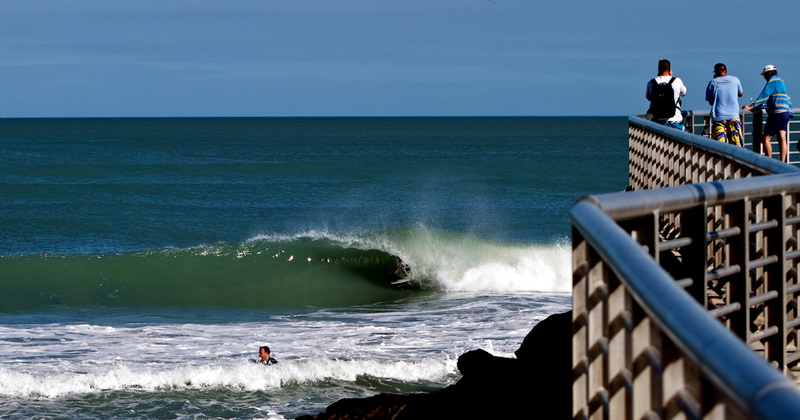 By using surfing waves, artificial reefs could help beaches build up naturally. The same waves that surfers enjoy are the same waves suitable for transporting sediment in a beneficial manner. Unfortunately, due to mismanagement, corruption, and a poor understanding of coastal science and policy, artificial surfing reefs faded into obscurity. However, the guiding scientific concept behind their ability to protect coasts still holds water. The second kingdom of the coastal engineering industry regards ports and harbors. Ports and harbors can range from recreational marinas all the way up to mega container ports. 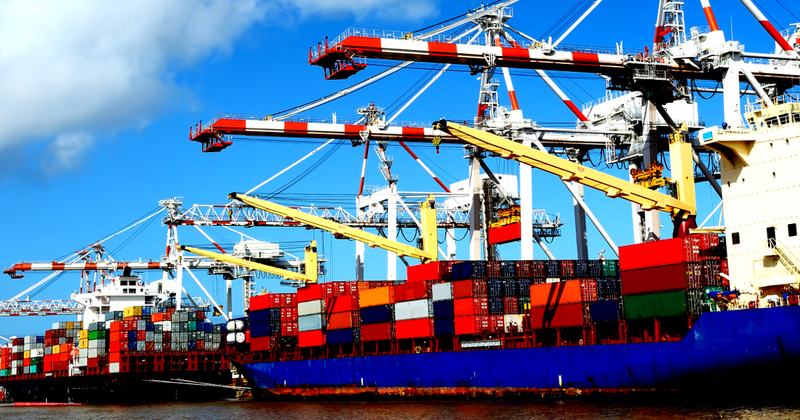 The shipping industry is the main lifeblood of commerce, transporting nearly everything we touch around the world. One primary responsibility of coastal engineering is to maintain port and harbors for the continued success of the shipping industry. Like coasts, ports and harbors also require an in-depth understanding of their man-made and natural systems. As many ports and harbors were dug by man, many of them have to be regularly dredged to prevent them from closing. Likewise, a considerable quantity of sediment travels naturally in, out, and around ports and harbors. The process by which sediment naturally moves around ports and harbors, due to wind and wave generated currents, is known as natural sand bypassing. The artificial surfing reef industry reinvigorated our curiosity in natural sand bypassing. Is is possible to use specific wave-generated currents at our ports and harbors to enhance natural sand bypassing? Notwithstanding, the concept is similar to waves peeling on an artificial reef. 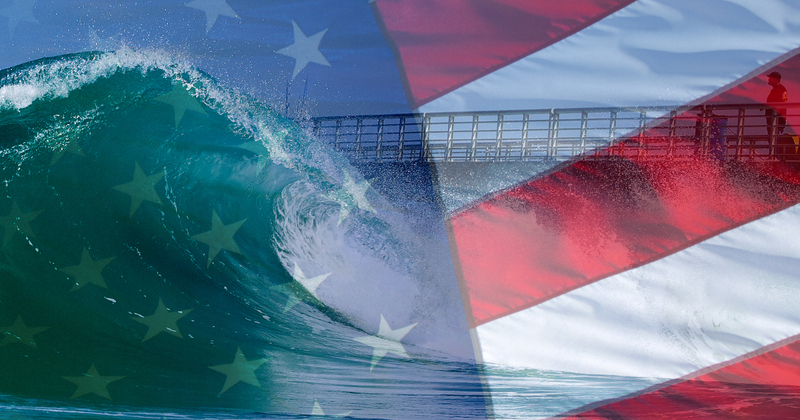 However, instead of building an artificial reef near a port or harbor, we could instead introduce wave reflection. Engineering wave reflection correctly can have a similar effect of creating peeling, barreling waves. The wave generated currents from these wedge waves can, in turn, improve natural sand bypassing. Let’s be crystal clear about something. In any case, First Peak Project is not a big engineering project like building an artificial surfing reef. It’s a minuscule addition to the base of the jetty to increase wave reflection. We want to engineer a solution that is simple, subtle, and sensitive. Leave us a comment along these same lines.